I know you're all fanatics of TGN (sure you all are ;) ), but I also know you don't get all your information about gaming here. There's also plenty of quality gaming magazines that you read. Well, Game Night Magazine has issue #7 available for your downloading and reading pleasure, so you can get more of that sweet, sweet gaming information I know you all so desperately desire. 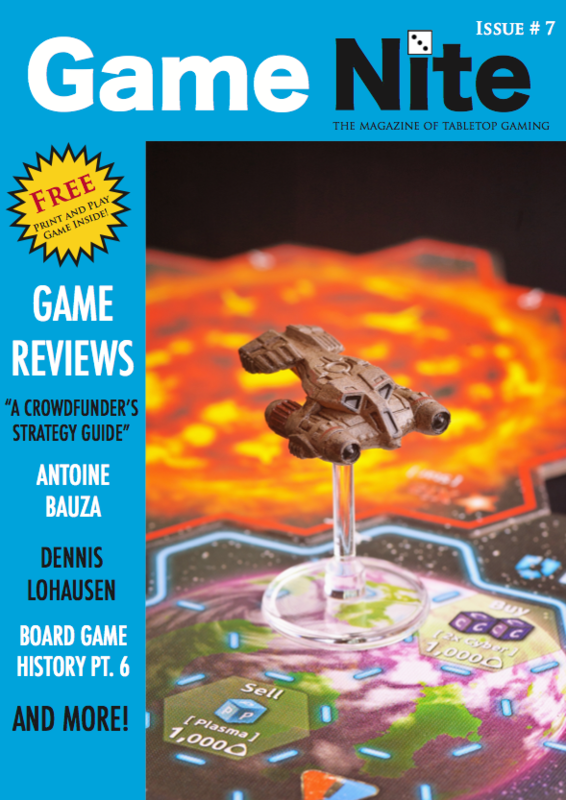 This issue features interviews with award winning game designer, Antoine Bauza and game board artist Dennis Lohausen. Jamey Stegmaier's book, "A Crowdfunder's Strategy Guide" is reviewed. Included in this issue is a Print and Play game, Game reviews, Tips on "How to build a game insert" and more! And as always.... it's free.